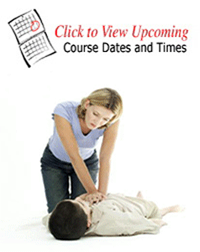 The MEDIC FIRST AID Emergency Care First Aid Version 6.0 training program is designed to train individuals and corporations that require training in basic first aid skills. This program will provide first aid training to students, giving them the skills necessary to manage illnesses and injuries until the arrival of EMS. Emergency Care is designed to complement cardiopulmonary resuscitation (CPR) training in order to meet OSHA requirements for first aid training in the workplace. We teach in several locations throughout Cape Cod, Martha’s Vineyard and Nantucket. The training is usually conducted over one, 3-4-hour session. Workshops are scheduled for daytime and evening sessions. 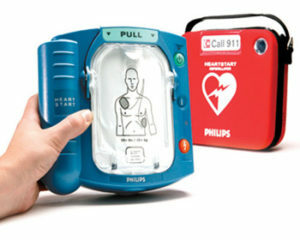 First Aid Coach uses the world’s finest training system, Medic First Aid™. They learn by seeing, hearing and doing. In fact one recent survey showed that over 97% of students completing our training said that they would step forward and help in a real emergency, versus only 66% of those trained by competing agencies. Our students develop real confidence in their ability to respond and perform these skills in a real crisis. Check Training Calender or E-mail us for dates. OSHA regulation 1910.151 states, “…in the absence of an infirmary, clinic, or hospital in near proximity to the workplace, which is used for the treatment of all injured employees, a person or persons shall be adequately trained to render first aid.” Near proximity has been interpreted in most cases, to mean help is less than three minutes away.